As excitement builds for one of the region’s favourite food festivals, visitors are being encouraged to plan their journeys in advance. 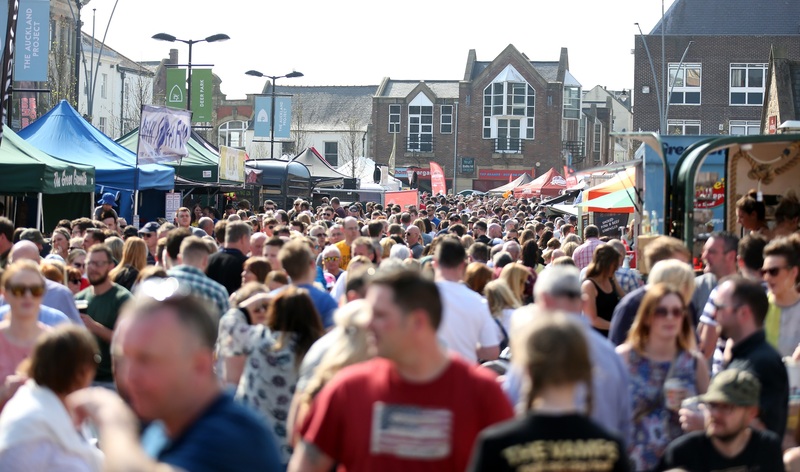 Tens of thousands of people are expected to attend Bishop Auckland Food Festival when it returns this weekend with a tempting line-up of word-class producers, celebrity chefs and interactive workshops. Organiser Durham County Council is keen to make the free festival as easy to get to as possible and has arranged for a special park and ride service to operate on Saturday and Sunday. The buses, provided by Weardale Motor Services, are all wheelchair accessible and will run to and from Bishop Auckland College’s main campus in Woodhouse Lane to Newgate Street in the town centre every ten minutes. On Saturday, buses will leave the college from 9.45am to 5.15pm and the last bus will leave the festival at 5.30pm. On Sunday, buses will run from the college from 9.45am to 4.15pm and the last bus will leave the festival at 4.30pm. Return tickets cost £2 for adults, 50p for children aged six to 15 and free for children aged five and under. Last year, 27,000 people attended the festival, resulting in record-breaking sales for traders and boosting the profits of businesses in the town. This year, there are even more traders and organisers have expanded the festival site to encourage visitors to explore more of the town. This year’s celebrity chef line-up includes BBC MasterChef’s Gregg Wallace, actress and restauranteur Jennie McAlpine, BBC MasterChef’s reigning champion Kenny Tutt, television presenters Angellica Bell and Stefan Gates, and Great British Bake Off finalist Briony May Williams.